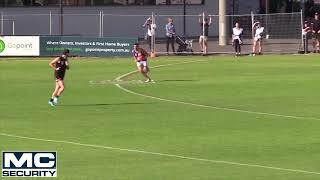 Williamstown Football Club proudly congratulates Michael Gibbons on being selected by Carlton Football Club as an AFL rookie in the pre-season supplemental selection period. 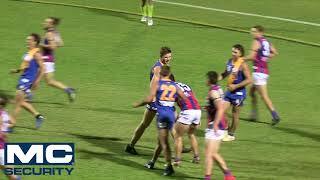 The two-time J.J Liston Medallist and 2018 Gerry Callahan medallist had a stellar 89 game career at the Seagulls, which included the 2015 Premiership win where he was named the Norm Goss Medallist as best on ground. Gibbons, 23, took his game to another level in 2018, producing a career best season averaging 28.6 disposals, 12 contested possessions and seven clearances a game. This now marks a state league record of four Seagulls who have been drafted onto AFL lists after one season, with Gibbons joining Ben Cavarra (Western Bulldogs), Brett Bewley & Lachlan Schultz (Fremantle) in achieving their footballing dreams. The Club is immensely proud of all four players and looks forward to seeing their AFL careers unfold. CEO Jason Reddick said “Williamstown Football Club prides itself on producing competitive sides that strive for team success, as well as providing an environment for players and staff to maximise their talents and reach the elite level. It’s important to recognise the work done by our senior Coach Andy Collins and his Assistant coaches and support staff, for helping these players reach their potential. Williamstown has announced it’s squad for our Round 3 clash against Sandringham on Sunday. 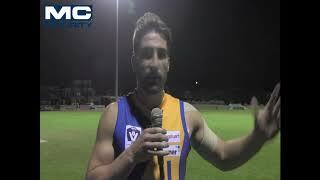 Williamstown star ruckman Nick Meese will this week play his 150th VFL Match this weekend against Sandringham. Williamstown Football Club is thrilled to announce that Jacinta Reid and Nikki Wallace will co-captain our VFLW side for the 2019 season. We had 11 boys continue their season with their respective community clubs over the weekend with plenty of impressive performances.